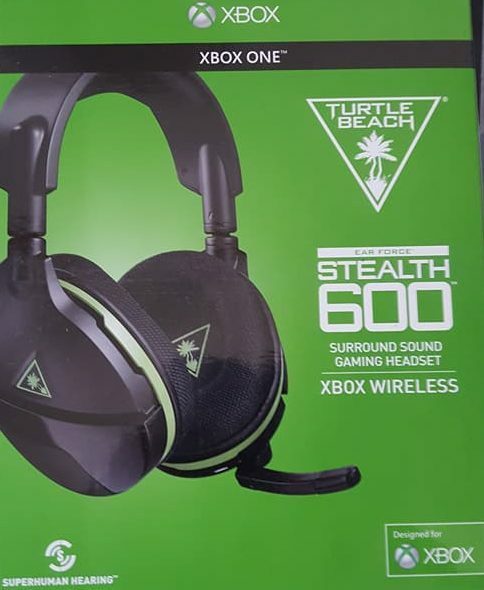 The Stealth 600 headphones by Turtle Beach are a must-have for anyone that is looking for a middle-price head set that has a good build quality and a solid set of features. The design of the head set keeps one’s head comfortable with a big, thick band and comfortable ear cups. The ear cups are covered with a mesh to wick away perspiration. The positionable mic is tiny to hide away when its is not needed, but is able to accurately reproduce one’s voice even in its smaller-than-normal state.The wireless aspect of these headphones makes it easy to find a comfortable position further away from one’s Xbox One or Windows PC (either through the Xbox Wireless Adapter or through the OS). We were most astonished at the considerable battery life on the Stealth 600s; where we typically would have to put our other Bluetooth headsets on the hook every night to ensure that we had a full day’s worth of play time, we found the head set was able to stay powered up around 12-14 hours. The time dipped a bit if one continually used the microphone, but this is not a major concern (only decreasing battery life by about 10-15 minutes). The recreation of a wide array of sounds is perhaps the strongest reason for individuals to purchase their very own pair of Stealth 600s. This means that is one is trying to hear atmospheric noises in their games or playing any genre of music, the fidelity of the headphones is at a quality well above the device’s price may indicate. The head set is light but durable; we were able to kick around the Stealth 600s in our car and bookbag without anything in the way of damage befalling the head set. This latest Turtle Beach head set should be purchased by anyone that wants value and performance. For additional information about the head set, one can visit the Turtle Beach website. Further discussions about the addition to TB’s product line can be found on their social media profiles.